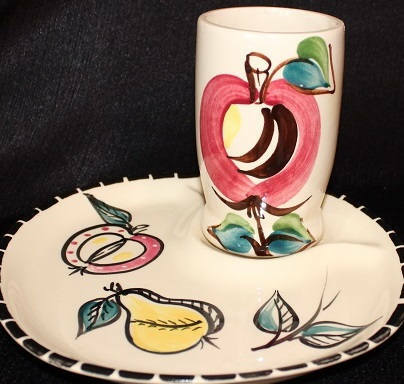 This vintage pottery slipware luncheon set was made by Purinton Pottery during the 1940s-1950s. This set consists of 1 divided snack (luncheon) plate and 1 tumbler. 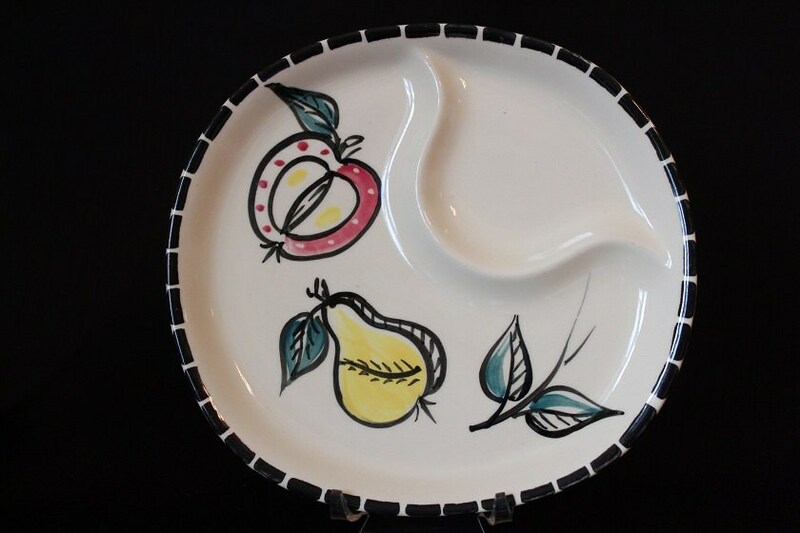 The oval plate has a hand painted fruit pattern which features a single open apple, a pear and a leaf across the plate. The top of the plate is smooth, but there is a raised (divided) section where the tumbler sits. There is a black trim design running around the rim. 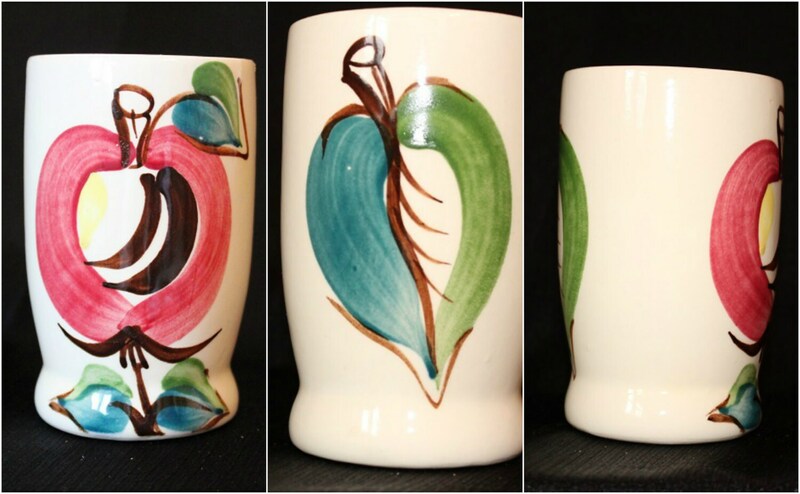 The tumbler has the same pattern open apple pattern on one side and a green/ blue leaf on the other side. The plate is faintly marked "Purinton" on the back, and the tumbler is unmarked. 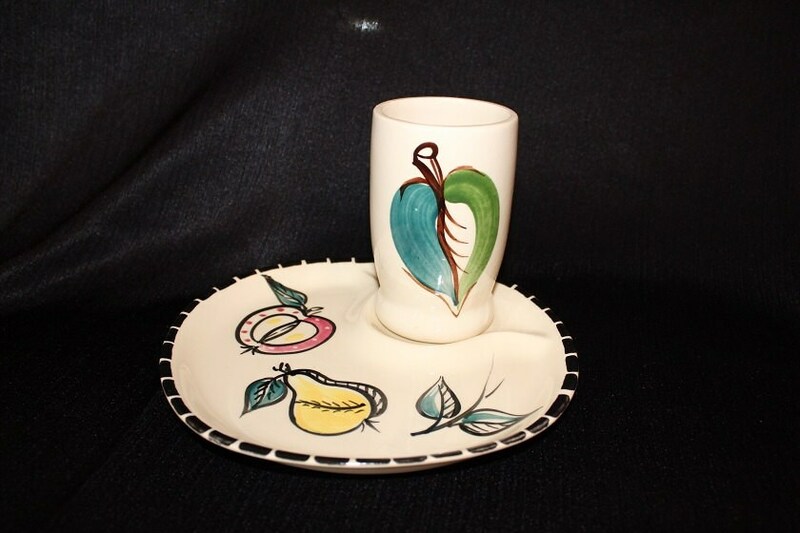 This set is in nice vintage condition with no cracks or chips; however, there are rough areas on the bottom of the tumbler where the gloss is worn from normal use.